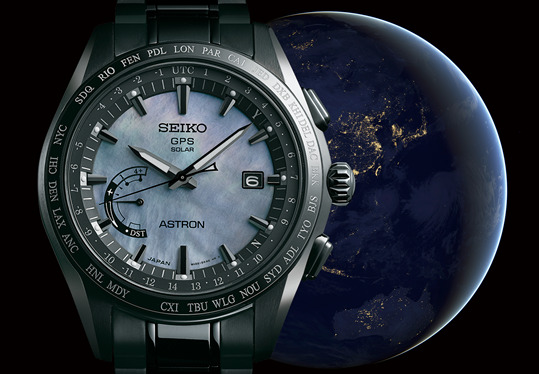 Since the launch of Seiko’s unique GPS Solar technology in 2012, the Astron collection has become an icon of high technology, energy efficient watchmaking and has proven to be a remarkable global success, appreciated for its unique practicality, its advanced functions and its refined design. Today, a new caliber is added to the range. Caliber 8X22 broadens the appeal of Astron still further, offering a slimmer case and a clean, uncluttered dial layout which allows the world traveller to see local time at a glance. 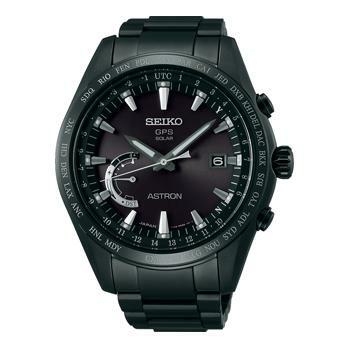 Caliber 8X22 is a notable advance in Seiko’s GPS Solar technology. The case is slimmer than any other GPS Solar watch, even slimmer than all other Astron models (the depth is just 12.4mm compared to 13.3mm in the other 8X series). As a result, the antenna that receives the GPS signals is inevitably smaller, but Seiko has managed to increase the processing power of the circuit in the GPS module so that the sensitivity of the antenna is unchanged and the reception of GPS signals is as easy for the world traveller as ever. With just one touch of a button, the new Astron adjusts to the local time in every time zone of the world, with an accuracy of one second every 100,000 years, using just the power of light. The dial of the new World-Time watch is simple, with all the indicators in one small sub-dial, giving the watch a quiet, refined elegance. 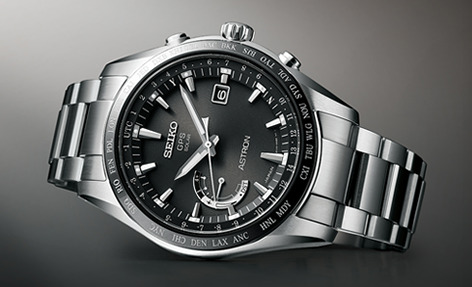 The Astron GPS Solar World-Time offers everything essential and nothing else. Truly, less is more. As of January 31 2016. Based on Seiko's research. Time zone date as of March 2015. Changes to time zones occurring after this date are not programmed and manual time zone selection may be required. The launch of this new Astron GPS Solar caliber is celebrated in a limited edition whose defining characteristic is its dark mother-of-pearl dial. The use of a colored mother-of-pearl is a silent tribute to the power of the technology beneath. The GPS Solar module requires so little power that it obtains all the energy it needs from light absorbed through the dial, even though it is made of this natural material. The case and bracelet are made of titanium with a new super-hard black coating that is resistant to scratches and which will preserve the sleek beauty of the watch for as long as it is worn. The design was inspired by the idea of the earth at night, as it might be seen from a GPS satellite. The effect is at once startling and yet mysterious. In addition to the Limited Edition, Caliber 8X22 is already available in a series of six designs. All are titanium-cased and there are three bracelet and three strap versions. Caliber 8X22 World-Time takes its place alongside the Chronograph and Dual-Time calibers to make up the full Astron GPS Solar collection of over 50 models. 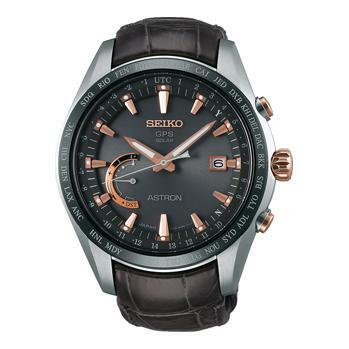 This technology is indeed a platform on which Seiko’s designers have already built, and will continue to build in the future, a new type of watch that is changing the world’s perception of what a refined, prestige timepiece can deliver. A crocodile strap is included.